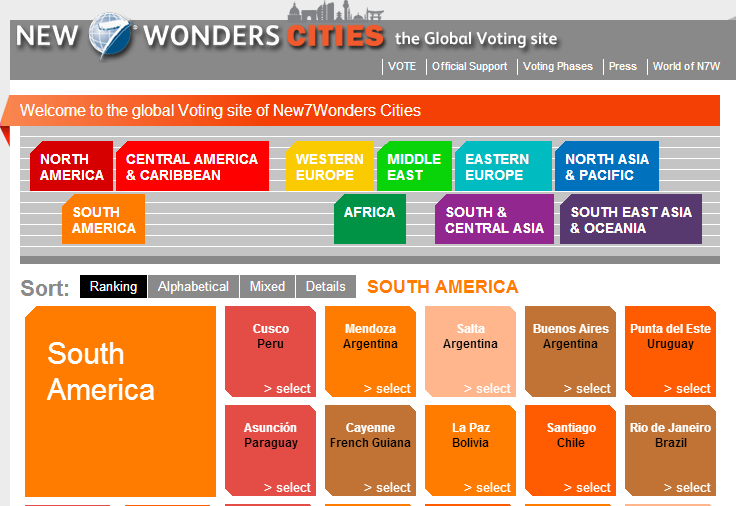 Voting in the Qualification phase of the New7Wonders Cities campaign has become much more interactive and entertaining thanks to a major makeover of the website. With its easy-to-use, colourful design, it now offers different ways of looking at the candidate cities. Users can now sort the 300+ cities, which are listed under 10 global headings, according to their ranking, alphabetical order or a mix of both. By choosing the “Details” view, users get a thumbnail image of each city along with a range of social media options — Facebook, Twitter, Wikipedia — that provide additional information and interactivity. A vital new feature of the redesigned site is the Official Support section which allows people to see if a city has official support or not. 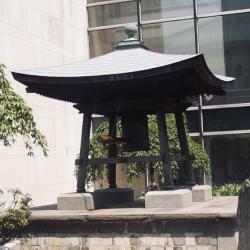 This is critical because without an Official Supporting Committee (OSC), the city will be eliminated from the competition. Because New7Wonders campaigns are international and inclusive, the movement is encouraging voters to ensure that their favourite cities have OSCs.